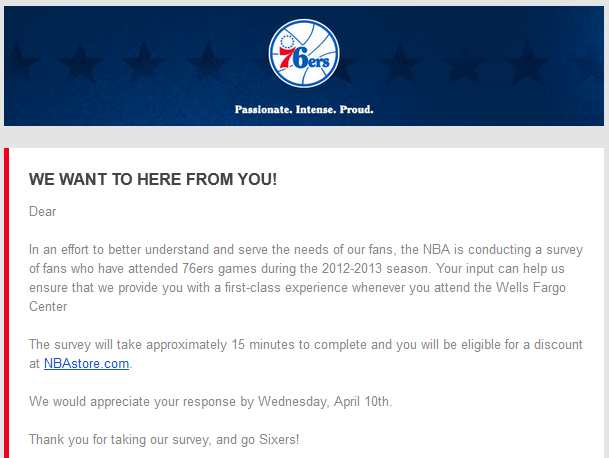 Sixers: Passionate. Intense. Proud. Poor Command of the English Language. How, exactly, would you like to “here” from me? Does this post suffice? Let me know. I’d like to hear from you, too!